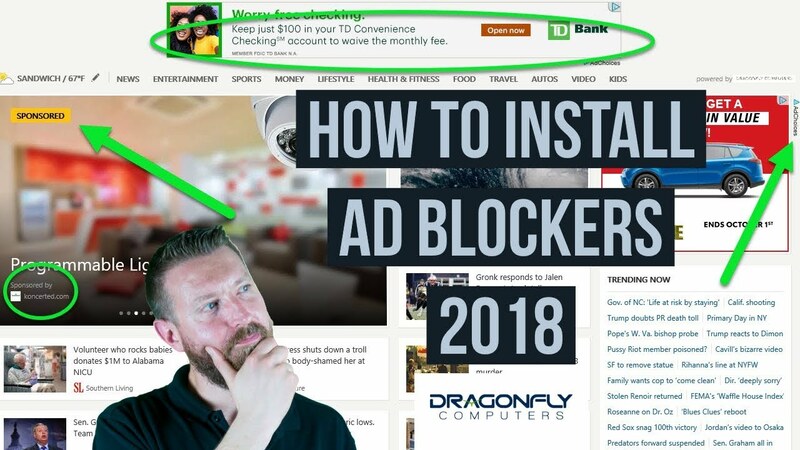 Here is a step by step tutorial on how to install Ad Block plus in Chrome and Firefox as well as other ad blocking extensions. If you haven’t seen my post about why you should install ad blockers, check it out. Then click the Add to Chrome button on the top right. Next, confirm the installation by clicking “add” in the menu that appears. That’s it, we’ll cover some advanced configuration later on. Click the Get Disconnect button in the middle then follow the same steps to add the browser extension from the previous install. Congratulations, you now have Ad Block Plus and Disconnect installed for Chrome. We’ll cover how to use them in a moment. Confirm the install and you have installed Adblock Plus in Firefox. Click the “Get Disconnect” button and follow the prompts to install. Now that you have installed Adblock Plus and Disconnect in Chrome and Firefox, let’s learn how to use them. The first thing you may want to do is open the settings in Adblock Plus and disable the “Allow Acceptable Ads” option (after all we are trying to cut down on Ads here). Then, click options from the menu. Finally, uncheck the box that says, “Allow acceptable ads” (Be sure to do this in both browsers). Whitelisting a website shuts off the ad blocker for that particular site. You may want to do this to support your favorite site or it’s also possible that the ad blocker has “broken” a certain site, in which case you may have to disable it on that site. Simply click on the Adblock Plus icon in the top right of your browser, then click on the top option that says “Enabled on this site.” That will disable it on the site (but not on any others). To whitelist a site in Disconnect, again click the icon in the top right, then choose the option to whitelist the site. Now that you have ad blockers installed, you will start raise the ire of the dreaded “Ad Blocker Detector.” You’ll start to notice that every site you go to will either prevent you from accessing the site or will hit you with yet another pop up telling you to whitelist the site. It’s hard to get rid of these 100% but you can mitigate them significantly. There is a great resource called Filterlists.com. It contains lists that affect Adblock Plus only. They are added filters that can increase the effectiveness of Adblock Plus. They have many anti-ad blocker detectors there as well. There are a lot filters and the list is constantly updated. Here’s how to install them. Scroll through the filters until you see one you decide you want to use, then click details. You will then be taken to the Ad Block Plus general settings screen, where you’ll see your new filter on the bottom. You can easily remove it by clicking REMOVE on the right next to the filter. It might not be wise to install dozens of these at once. In the case one of them causes a lot of problems, it’ll be much easier to pinpoint that one if you do them gradually, then if you do them all at once. You’ll need to do this for each different browser that runs Adblock Plus. Go through filterlists.com and install whatever filters you think will help you. There are plenty of language packs for various countries (don’t install all of these). Also lists to block phishing attacks, clickbait news websites, ad blocker detectors etc. Taking advantage of these will bring your ad blocking to the next level! They don’t have NoScript on Chrome, there are other alternatives which you’ll have to research yourself. If things aren’t working at this point, it’s a safe bet that you need to enable something in NoScript. Once you trust the first round of elements, there are sometimes more elements you need to trust after that. It can be a bit of a bear. Well there you have it. From not Ad Blocking to expert in a single blog post! Just kidding, if you install some of these and you having trouble leave a comment on my YouTube channel or hit the contact form and I will see if I can help. Good luck! 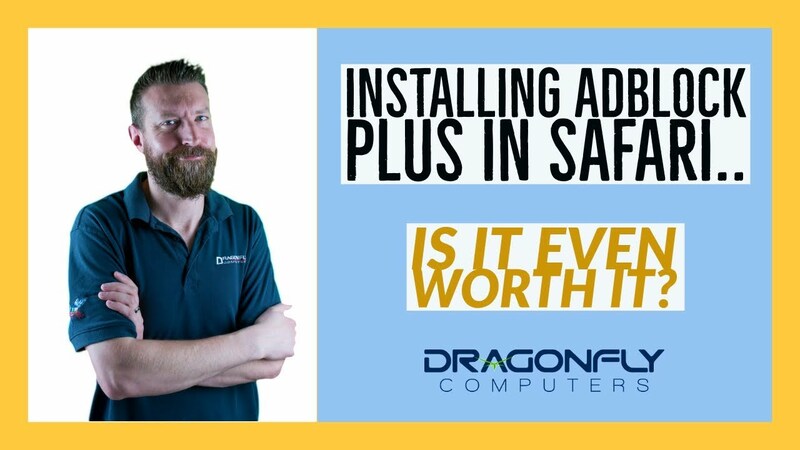 Here is a video on how to install Adblock Plus for Safari in Apple OS X Sierra. Unfortunately, it looks like Apple made some changes to how they block ads in Safari and the makers of Ablock Plus were not able to retain the filterlists portion of their browser extension. It pretty much makes installing the plugin useless and as a result, the reviews of the Safari plugin have suffered. According to the comments, they are trying to re-add the functionality, not sure of the timeline on that. PrevPreviousWhy should you install Ad Blockers?